Latrodectus Hasselti, more commonly known as Redback Spiders, are Australia’s most well-known spider. Redbacks live all over Australia but are rarely found in Tasmania because it is too cold. The redback is one of three Australian spiders classified as most dangerous. The other two species are the Funnel Web spider and White Tail spider, which are both found in Sydney. At least we are safe here in Queensland from those two! Female redback spiders are brown to black in colour and shaped like a pea with a bright red strip on the back of its abdomen. Females grow up to 12mm in body length. The females are considered most dangerous due to the small size of the male’s jaws. The male redback spider is somewhat smaller than its female counterpart with a body of only up to 3mm. It’s the females that you are most likely to see as males are rarely seen. If you do spot one, they will be small and brown with red and white markings. Female redback spiders produce eggs for up to two years after only one mating. Spherical egg sacks hold the creamy white eggs and are suspended in the web and fiercely guarded by the female. After about fifteen days, the babies emerge and spread via the wind in the right conditions. This is how redback spiders appear in new places or quickly migrate to areas from which they have previously been removed. These spiders have a very distinctive web, low-lying, a little dense and messy looking and distinctively will have leaves and other garden materials contained within. Redback spiders are widely spread throughout rural and urban areas. 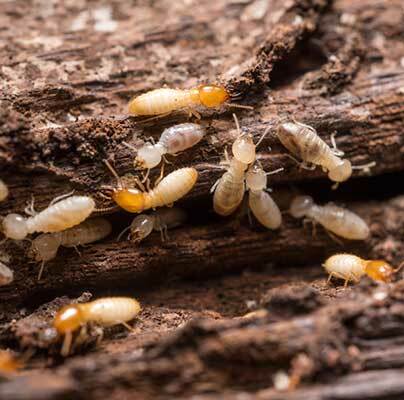 They prefer quiet, dark, undisturbed surroundings commonly found in grasses, throughout piles of junk, empty drums, cans and tins, dark corners of homes, stationary machinery, grease traps, under dry stones and especially in outdoor areas such as toilets and sheds. They love taking up residence in any areas that have been undisturbed for months. Most of the time, redback spiders are found at ankle height. They enjoy still humid air, and so are more common in spring and summer. The redback isn’t an aggressive spider and only bites humans when we make contact with it. Typically, bites occur on hands, arms, ankles, feet and occasionally on the face or head. Many years ago, deaths have happened as a result of a bite from a redback. However, there is anti-venom now available at all hospitals and medical emergency centres. The effects from a bite can be quite severe, and if you suspect you have been bitten, seek medical attention immediately. St. John Ambulance provides a first-aid guide, which you can download here. You may notice only a minor reaction or a small red mark, or you may notice an ache at the site and some sweating. There is always pain of varying intensity at the bite site, sweating is common, feeling weak and lack of energy, nausea are likely to occur and symptoms of shock may also be present. Restrictive bandages and arterial tourniquets are not recommended, nor is excision of the wound, but you should receive anti-venom as soon as possible. Cold packs or cold water may help to relieve the pain. Always seek medical attention for a proper diagnosis and treatment. At Hitman, we can help with most types of pest problems including redback spiders. Why not call our friendly office team on 1800 1800 32 and have your home treated inside and out? Your peace of mind is worth it!